A piece a Week – We all scream for ice cream! With some lovely heat this week for the summer holidays I was inspired to make vegan fresh mango ice cream. Somehow to make a project anything larger than food is difficult being in mamma mode with the kids – all day, every day with hardly any downtime. This delicious recipe is a favorite vanilla base from Food52 with fresh mango and nectarine fruit pulp added to the mix in the ice cream maker. 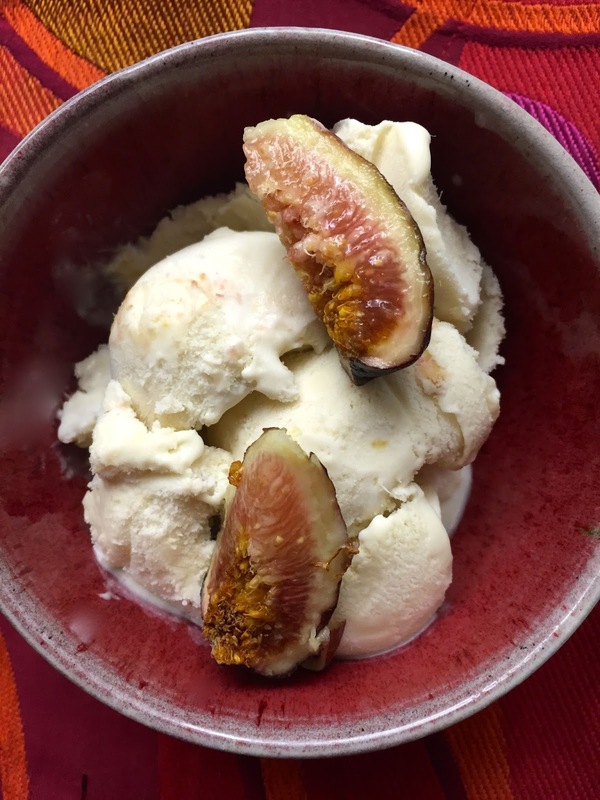 I enjoyed this ice cream in a bowl I made in pottery class with fresh turkey figs – summer is here! !